Wayne H. Houston, born Oct. 7, 1927, in Richfield, Utah, departed this earthly life Jan. 16, 2019, to be with his eternal sweetheart, Ramona Faye Hogue Houston. Wayne was born the fourth of nine children to Tommy Ray and Emma Haywood Houston. After a brief courtship, Wayne and Ramona were married in his childhood home in Panguitch, Utah, on March 5, 1949. Later their marriage was solemnized in the Los Angeles Temple. In 1952, Wayne joined the Air Force. After an honorable discharge in 1955, Wayne and Ramona moved to Costa Mesa, California. Wayne joined the Costa Mesa, California, Fire Department; during those years he also had a horse shoeing business. While living in Costa Mesa, Wayne and Ramona had two daughters, Janet Gail Houston Boudreaux born March 17, 1958, and Carol Houston Christensen born Feb. 22, 1962. Later they also adopted Alex Percel as their son. After retiring in 1979 from the Costa Mesa Fire Department as captain, Wayne and Ramona moved back to Utah. 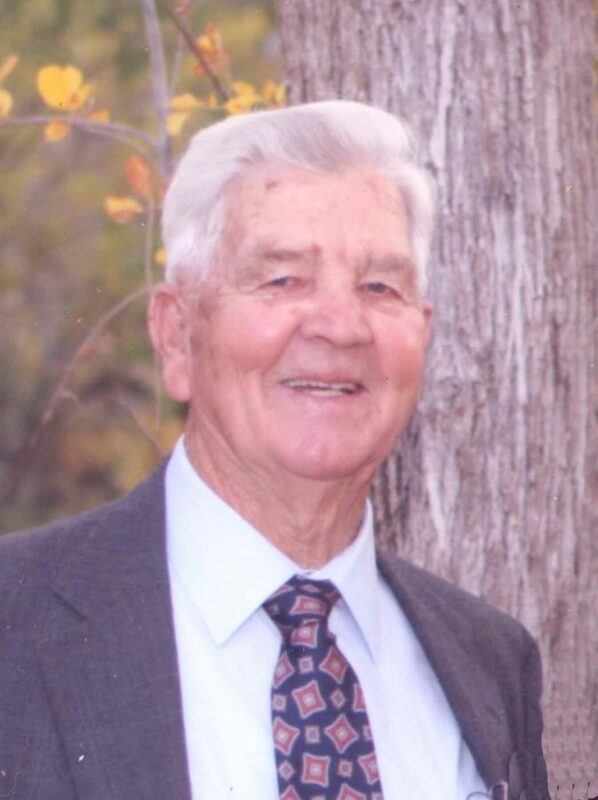 Wayne owned and trained thoroughbred horses. In 1982, Wayne became the first paid fire chief in St. George, Utah. He served as chief for 15 years. Wayne was preceded in death by his sweetheart Ramona Faye Hogue Houston; parents Tommy Ray and Emma Heywood Houston; brother Douglas Ray Houston; sisters Mary (Howard) Simkins, Reva (Lin) Orton, Barbara (Gib) Mitchell and Gay (Wayne) Hoskins. He is survived by his daughters Janet and Carol; son Alex; sisters Cleone (Dave) Major, Edy (Earl) Hindley, Lorraine (Ralph) Kurtz and Judy (Ray) Garver; seven grandchildren; 11 great-grandchildren; and four great-great-grandchildren. We celebrate a life well lived. Wayne was a great example to others and will be missed greatly. We appreciate the loving care of Canyon Hospice. Funeral services will be held Saturday, Jan. 19, at 2 p.m. at Metcalf Mortuary Chapel, 288 W. St. George Blvd., St. George, Utah. Visitations will held Friday from 6-8 p.m. and Saturday, prior to services, from 12:30-1:30 p.m., both at the mortuary.